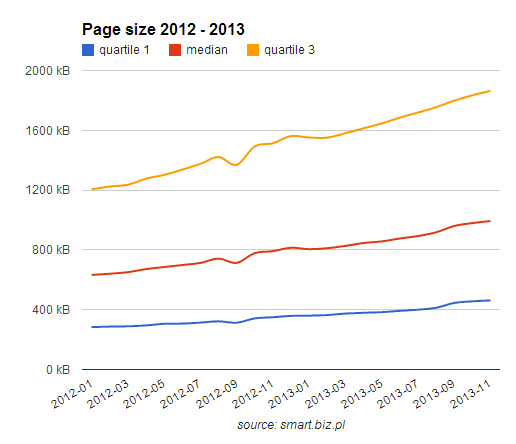 At the end of 2013 average page size hits 1700 kB. This is a 30% raise for second year in a row. 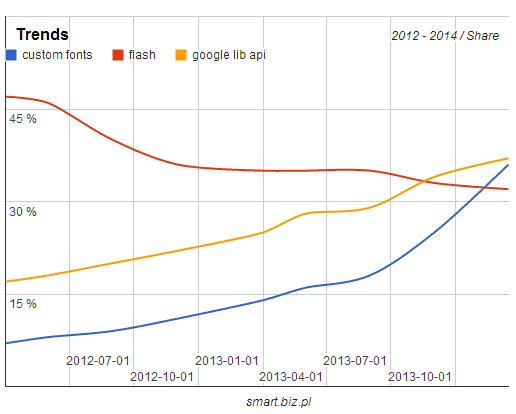 The biggest growth was recorder for non-image binaries like custom fonts. 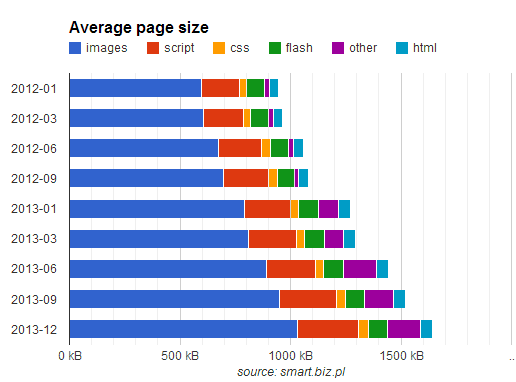 However typical website size s about 1020 kB and 25% of them are smaller than 475 kB. 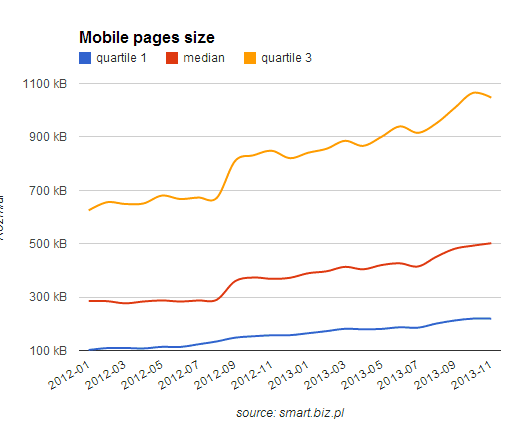 But still quarter of all websites hits more then 2000 kB what seems to be the average size in the near future. Digging in HTTP Archive Data there is visible change in web tech usage in the last two years. Significant increase in custom fonts usage is a fact. It has increased from 7% to 36% in two years. 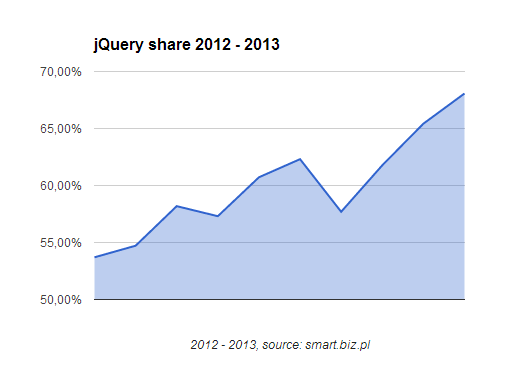 Flash declines slowly from being used by 50% in the end of 2011 to 30% in the end of 2013. 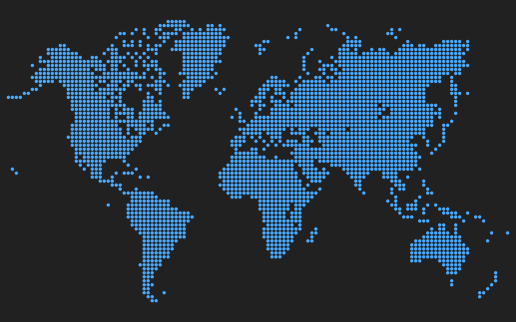 However it is still an industry standard for reliable online advertisements. 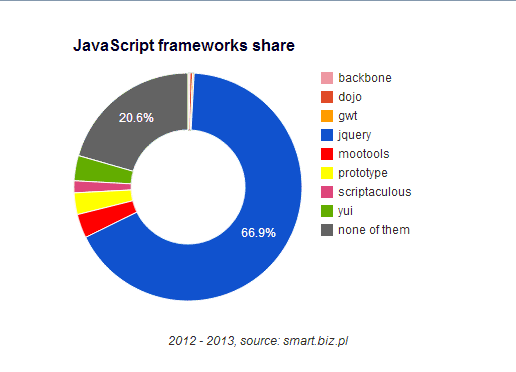 Todays websites are dominated by jQuery framework that is present in 70% of them. 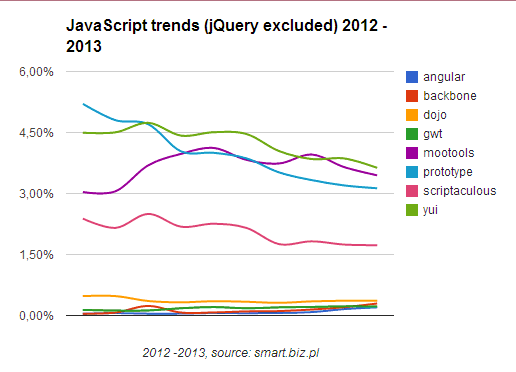 Second league frameworks like mootools, prototype or yahoo’s yui are declining slightly in favor of newcomers: backbone and angular. Big thank you goes to you to lya Grigorik and his lovely HTTP Archive + BigQuery = Web Performance Answers where you can find introduction to use BigQuery on HTTP Archive data plus some Google AppScript usage example.